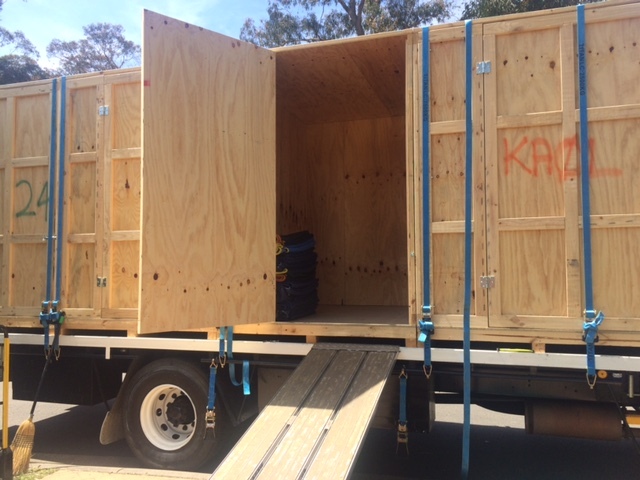 We bring storage modules or 20ft containers to you. A convenient and easy storage solution. Our Professional removalist team will load or unload at Your door. Different sizes available, only pay for what you need. Stored at our warehouse in Katoomba, Upper Blue Mountains. Long Term Rates Available. We bring your storage modules to you. 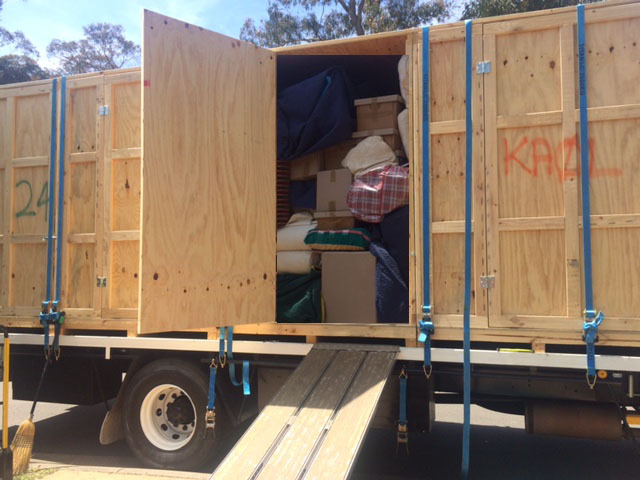 Save time and money on removalist costs by eliminating on double handling. Our friendly team will bring the storage to you and load or unload your goods directly at your door. Our team will carefully pack the storage for transport. Fit up to 1 bedroom of furniture per module. Or up to 3 bedrooms (approx.) per 1 shipping container. Storage Modules are carefully stacked in our warehouse. Warehouse is based in Katoomba. The warehouse is weather proof with 24 hour CCTV. 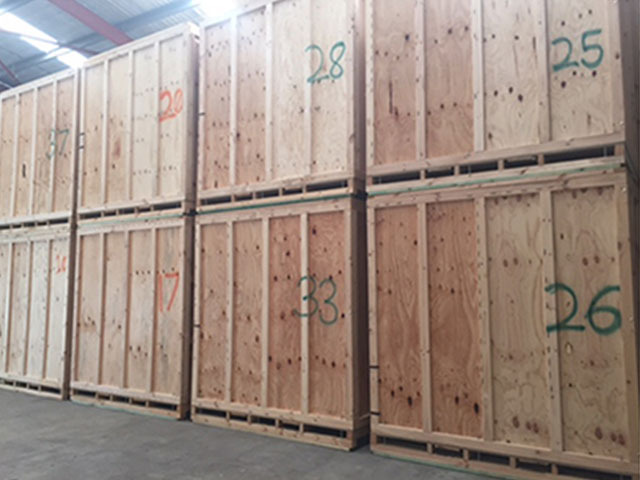 Contact us for a storage quote today. You will only pay for what you use. Each module holds about 1 bedroom of furniture, or approx. 100 boxes. Please talk to our friendly staff to work out how many you may need on the day, or we can do a free onsite quotation on how many you will need. This is not a self storage option. We usually require 48hrs notice for access to your storage module. If you need to access your goods regularly this may not be the right storage option for you. We charge a fee of $35 per visit, if there is more than 1 visit per month. The site is covered by 24 hour CCTV. Storage boxes are stored high and are hard to access. We can also add tamper proof tagging to your storage module if you wish.